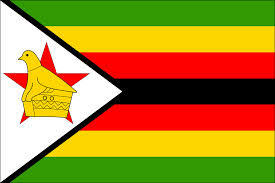 Zimbabweans in Cape Town are flocking to the country’s newly reopened consulate in the city to seek assistance. The consulate at 55 Kuyper Street, Zonneblom was closed for five years, meaning Zimbabweans living in Cape Town had to travel to Pretoria to have documentation from their home country processed but since the consulate reopened last week, up to 60 Zimbabweans are having their documents processed every day. It cost R250 to apply for a new passport and R110 for a birth certificate. On Monday dozens of Zimbabwean immigrants – mainly women with children – were at the consulate applying for birth certificates for their children. Other people had come to make enquiries and an official could be seen on the forecourt assisting them. Abigail Danga, 32, who had come for apply for a passport, was relieved she would not have to spend money travelling to Pretoria for assistance. how long does this proccess take?? how long should i wait for my passport after application? ?